Mahesh Bhatt took to Twitter to praise Alia Bhatt and said she had given her career best performance in the film. Latest spy-thriller Raazi which stars Alia Bhatt and Vicky Kaushal is having a great run in the box office. Till Monday, the film had successfully garnered Rs 39.24 crore. Raazi is directed by Meghna Gulzar who also directed Talvar three years back. The film is based on the book by Harinder Sikka titled Calling Sehmat. The spy-thriller revolves around an Indian woman, and her journey from being a woman married off to a Pakistani family to becoming a spy for the Indian government. Taran Adarsh tweeted the movie was having a splendid run. Raazi collected Rs 11.30 crore on Saturday and on Sunday it managed to rake in Rs 14.11 crore. On Monday, Raazi earned Rs 6.3 crore. #Raazi shows EXCELLENT HOLD on Mon... Decline on Mon [vis-Ã -vis Fri] is a mere 16.33% - SUPERB... The film has found pan-India acceptance, which is a rarity these days... Fri 7.53 cr, Sat 11.30 cr, Sun 14.11 cr, Mon 6.30 cr. Total: â‚¹ 39.24 cr. India biz. Meanwhile, Mahesh Bhatt took to Twitter to praise Alia Bhatt and said she had given her career best performance in the film. Filmmaker Rajkumar Hirani also said that Raazi was an outstanding film and praised Meghna Gulzar as a master storyteller. He also praised actor Vicky Kaushal for his performance. 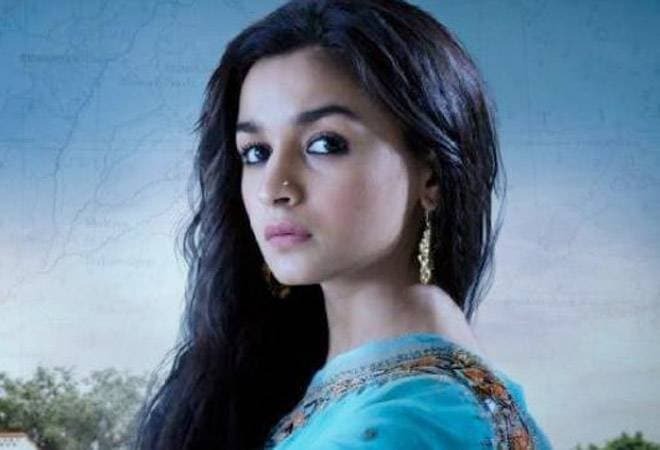 Alia Bhatt has given some stunning performances in recent times in movies like Highway and Udta Punjab. She continues her great streak in the big banner Junglee Pictures and Dharma Productions film. According to reports, Alia instantly connected with the script and could relate to the character. In fact, Meghna Gulzar too thought Alia Bhatt was made to portray Sehmat. Actor Jaideep Ahlawat who plays a vital role in the film and said that the film does not show war but it revolves around the strategy making process surrounding the 1971 war. It explores the political phase at that time and tells the relationship between India, Pakistan and Bangladesh. The film releases at a time when Marvel blockbuster Avengers: Infinity War has crossed Rs 200 crore in India. The Avengers movie is at the fag end of its run and does not pose a huge threat for Raazi. People in metro cities like Mumbai and New Delhi have flocked to the multiplexes for Raazi which is a good sign for the movie in the upcoming days as well. Raazi stars Rajit Kapoor, Soni Razdan, Jaideep Ahlawat, Shishir Sharma and Amruta Khanvilkar in pivotal roles. The movie is produced by Karan Johar, Vineet Jain, Hiroo Johar and Apoorva Mehta and co-produced by Priti Shahani. The music has been composed by Shankar, Ehsaan and Loy.